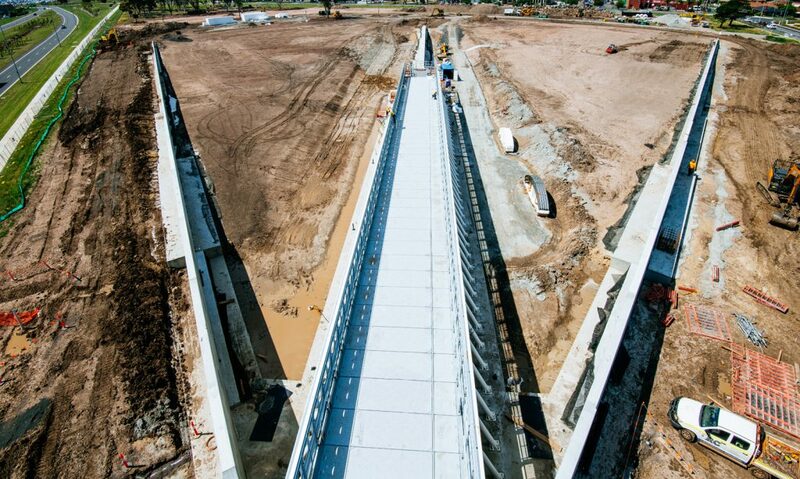 URBNSURF Melbourne is counting down the days to flicking the switch on Australia’s first public wave pool for surfing. The company said construction activities are near completion and the first public waves are expected at the Tullamarine airport location around April 21st (Easter). The opening conveniently coincides with the world’s best surfers swinging through Bells Beach, an hour and a half drive away. The Rip Curl Pro Bells Beach will run from April 17 – 27. The tour elite will have a few lay days in between heats to trek north to Melbourne. The past year has been a blur of activity for the Australian operation. Since commencing construction in Autumn 2018, the development of the first commercial surf park in the Southern Hemisphere has rapidly progressed. Big earth-moving machines, civil construction and services installation are now largely complete. The crown jewel of the construction process so far is the world’s first full-scale Wavegarden ‘Cove’ wave generator. The device is installed and ready, surrounded by dirt which will soon be smoothed and covered with a lining. After that, it’s time to turn on the hose and fill the lagoon. 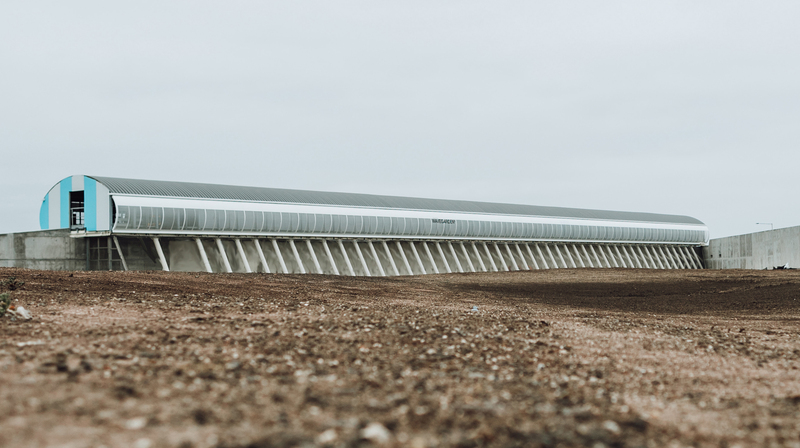 “We’re stoked with the progress that we’ve made on site over the last few months, with our next-generation wave generator successfully installed and the surf lagoon rapidly taking shape,” said URBNSURF’s Founder and Executive Director, Andrew Ross. Ross admitted the scope and speed of the project is amazing. 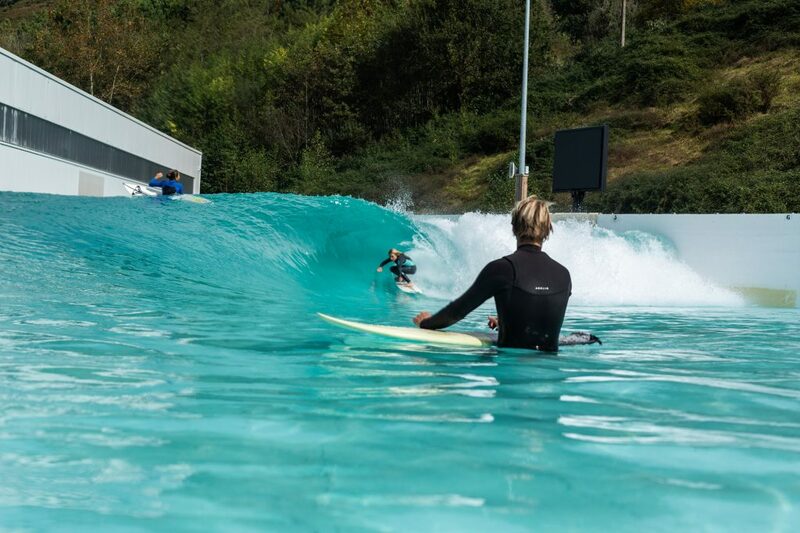 The company said that testing and commissioning of the surf lagoon and new wave development will occur during Winter 2019, ahead of a planned opening to the public in Spring 2019. That means sometime this month or early March could see the first waves roll out in Melbourne. Once first waves have been produced, the wave generator and lagoon will be fine-tuned during a testing and commissioning period. “We’ll be developing a range of new waves, trialling custom surfboard designs, and testing other surf equipment during our Winter commissioning period to ensure amazing experiences are delivered to our guests when we open in Spring,” added Ross. Where is it and what can we expect? The park is located directly adjacent to the Essendon Football Club on Airport Drive, just minutes from Melbourne Airport’s terminals. URBNSURF also announced the facility will have LED lagoon lighting for night surfs – an option at all the upcoming Cove pools. Once the dirt’s put back in place after the projects, the landscaping will reflect the Victorian coastal habitats nearby. The full-size Cove project is being built with a north-south lagoon orientation to suit prevailing winds so one side of the lagoon will deliver offshore wind. No word if it’s the goofyfoots or the regularfoots who score the prime pool real estate. The right and left Reefs are expert zones and it’s these adjustable waves that we see in all the video clips. When the machine spits out waves a right and a left peel away from adjacent walls toward a central pier. The footage we see is all from the small Wavegarden test pool. In the largest pools, the waves from this Reef section will peel for a much greater distance. The corresponding Bays is the area designed for beginners and newbies. These waves are the remnants of the Reef waves. And it’s these sections of the Wavegarden Cove that offer the sloping open-face reforms that make perfecting your surf skills easier. 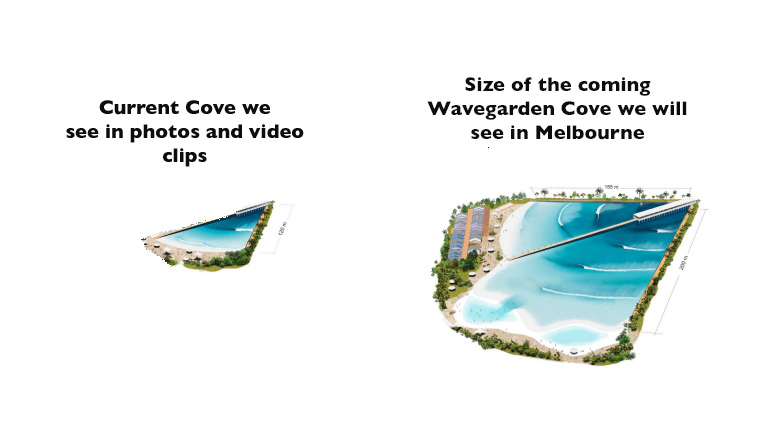 The Cove wave pools come in small, medium and large options, depending on the size and expense of the project. Again, for scale, the Wavegarden clips we see are done at their R&D facility which is the one half of the smallest size pool available. The project that broke ground in Melbourne is a large-scale facility. So, this wave pool is huge.